Let’s be real. When you tell people that you will be entertaining for the holidays, it really means you will be serving a bunch of fattening foods and beverages in your brilliantly decorated home. The good thing is your guests are okay with that. They are not going to be impressed by your festive music (we’ve heard all those songs forty times each by now), and they can enjoy your lively conversation over the phone. Going to your house is the only way they can eat outrageous food, enjoy your home’s ambience and possibly peep into your medicine cabinet. If the food is the focus, then this is not a time to go cheap and easy with the red Solo cups and paper plates. 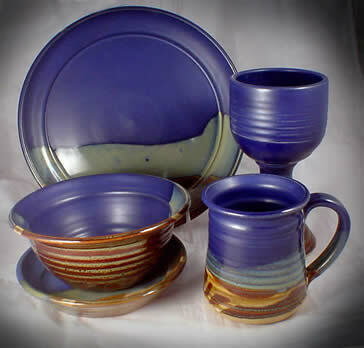 If you are going to all the trouble to fix holiday specialties, then serve them using deserving kitchen and dining ware. 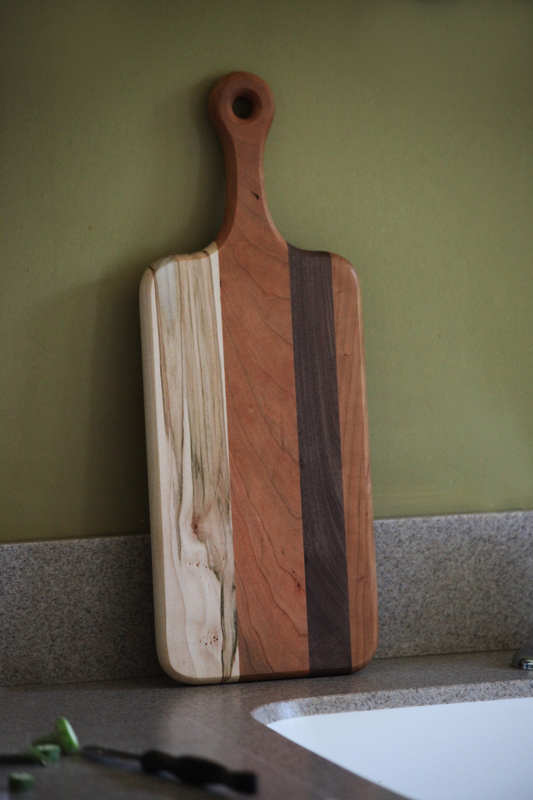 As one Kentucky Community Scholar in Paducah told me, “Good food deserves better than to be served on trash.” There are several Kentucky Crafted artists working in multiple media who make beautiful and functional items for your holiday table. The first thing you need for your table is a solid foundation, which includes placemats, napkins, table runners and table cloths. You want something to defend your table from heat and spills, but you also want it to be attractive. 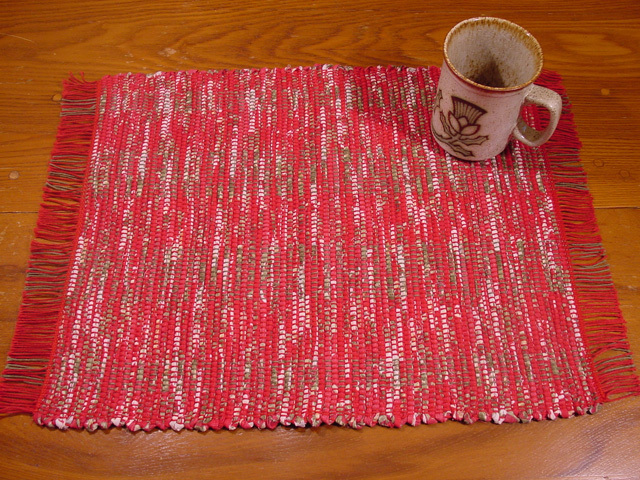 Harriet Giles of the Weavery has the perfect woven runner and placemat patterns for that. Festiva© is made from chili pepper and olive fabric with a sprinkle of white. Porcelain© is a blend of blues and cream that evoke the chilly joy of New Year’s Eve. The colors are perfect, and the woven texture is thick enough to protect. The next thing you need is something to set the mood and serve as the centerpiece of your table. Candlestick holders take on both tasks all year round. All you have to do is change the candles to match your textiles. Craig Kaviar makes tough metal holders that appear as delicate as glass and as flexible as fabric. 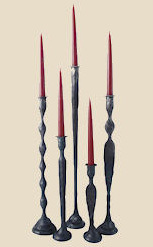 The pieces are tall and add height to décor. Did you know that dimming the electric light and using candles hides dust? There is nothing dull about iron. Too beautiful to use, but we will anyway. Baskets are one of the first functional pieces of art humans endeavored to make. They’re light and sturdy with the added benefit that items in baskets tend to arrange themselves! Crackers, breads, whole fruits, cutlery and napkins all look great in a basket. 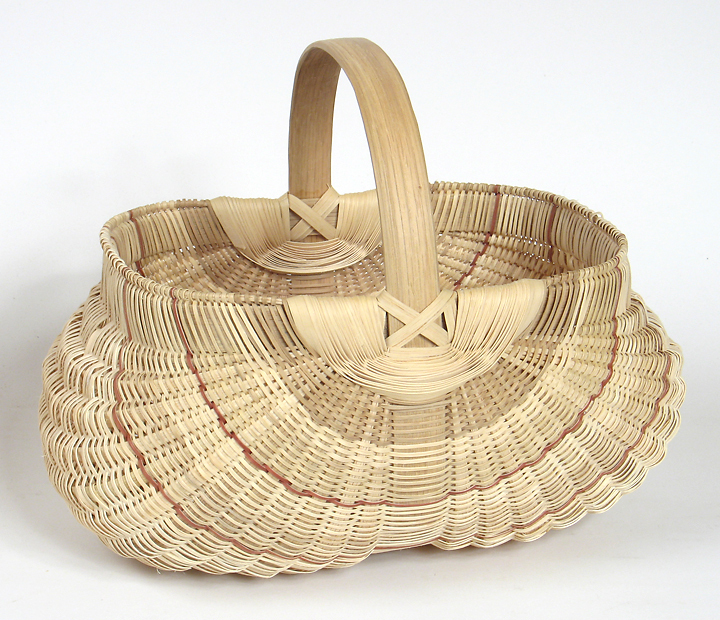 Scott Gilbert makes baskets in a variety of traditional styles using white oak. Use the classic egg basket to keep rolls from crushing under their own weight. It works for the eggs! It's okay to put all your eggs in this particular basket. Melvin Rowe can make a whole set of bakeware and an entire tablescape. Of his work, he writes, “In clay, I have found a material that allows me to make almost anything.” That’s not an exaggeration. Just look at his gallery. He has everything from wine glasses to casserole dishes. If you’re looking for the right tool to improve your baking, he offers Colonel Mel’s New Fangled Modern Miracle Bread Baker & Colonel Mel’s Practically Perfect Pottery Pie Plate. Both have been tested and approved by Aunt Gertrude and the entire Lady’s Auxiliary, according to his website. He even makes cookie dunkers, a cup specifically designed for dunking cookies in milk to “allow maximum dunking coverage with minimum milk waste.” Won’t Santa be impressed? You can read all my advice, or your could just buy this and call it a day. Mark Payton, Payton Flameworks Inc.
Now for the pièce de résistance. It’s time for a toast, and it’s bad luck to toast the New Year in an ugly glass. Luckily Mark Payton makes beautiful toasting goblets and champagne flutes just for such an occasion. When you finish, you can cork the bottle (if there is anything left!) with one of his elegant or whimsical bottle stoppers. 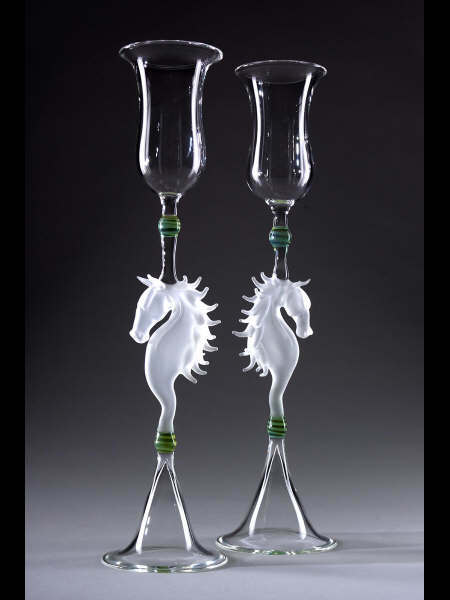 Now these are "good luck" goblets. I could have written a book on this topic using only Kentucky Crafted artists. For the sake of time and space, I had to leave out some really great examples like salt and pepper grinders by Carl Hall, baked brie dishes by Amelia Stamps, wooden trivets and bowls by Richard Adams, table rugs by Fox Hutt and wine racks by Jim Jones. Explore their galleries. Even if you are not hosting, you might find something appropriate for the host or hostess’ gift basket.